Posted on Wednesday, February 1, 2012, by Dean "The Machine" Childers. Glee pays tribute to Michael Jackson. (S0311) So Glee decided to do a tribute to Michael Jackson. I don't know why I feel indifferent to this idea. Perhaps I've become a jaded Glee viewer. A this point, I'm watching Glee to see how the season ends rather than actual enjoyment. 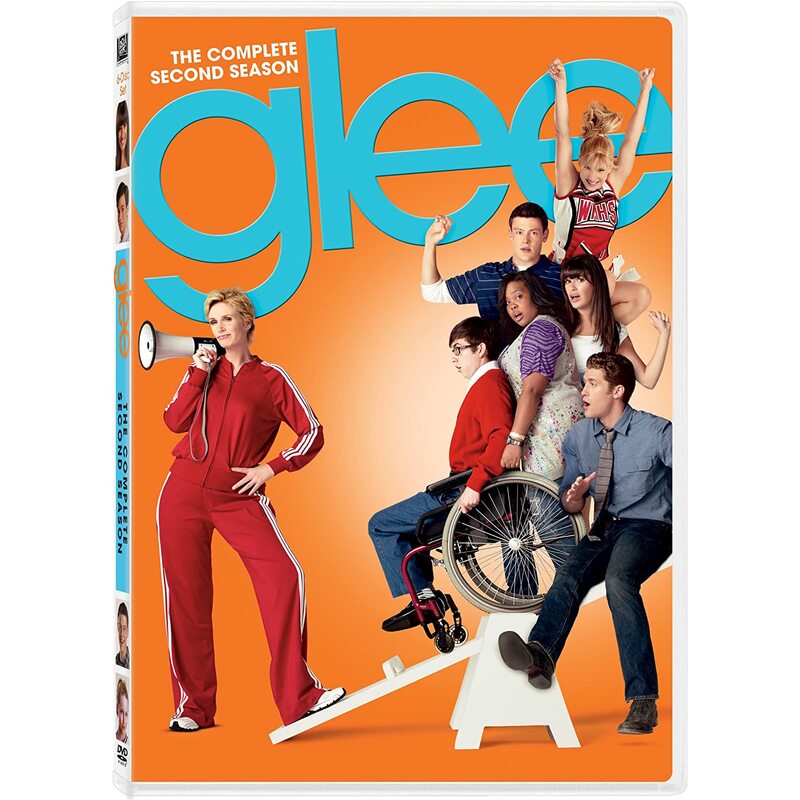 Glee has not only jumped the shark, but swam away from it entirely. “Michael” shows visible proof of this shark-evading attempt. First off, Glee has forgotten how to handle its own tribute episodes. Glee's only successful tribute episode aired in the first season. “Power of Madonna” just happened to be the right episode happening at the right time. There was no arbitrary feeling involved with it. “Michael” feels forced by comparison. Like “Power of Madonna,” one of the central stories revolves around Rachel (Lea Michele) deciding on whether or not she should marry Finn (Cory Monteith.) Yes, you did read that correctly. In the previous episode, Finn proposed to Rachel. Again, may I emphasize the whole jumping of the shark thing? The other story involves the New Directions facing off against the Warblers. Sebastian (Grant Gustin) pummels Blaine's (Darren Criss's) eyes with rock salt. This assaults prompts a potential eye surgery for Blaine. Santanna (Naya Rivera) and Kurt (Chris Colfer) are pissed and Kurt considers whether or not he should turn the other cheek or take revenge. Santanna wastes no time and engages Sebastian in a sing off. This is one of the highlights of this week's adventure, because it showcases Santanna using her Queen bee-powers for good instead of evil. Outside of this, we see Rachel and Kurt become finalists for the arts school they applied to. Honestly, the rest of the episode is Glee exercising more of its Cheese. It is nice for once to see the kids act without the guidance of their insufferable teacher Will Schuester (Matthew Morrison) and receive no punishment for it. Overall, this was Glee's biggest shark evading episode, and no amount of Michael Jackson can redeem the series.